Pandit Ravi Shankar has been awarded the first Tagore Award for Cultural Harmony by a jury chaired by Prime Minister Manmohan Singh to mark the 150th birth anniversary of Nobel laureate Rabindranath Tagore, it was announced on 7.5.2012. 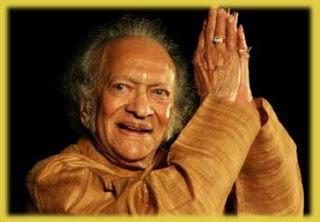 Ravi Shankar is the first recipient of the Tagore Award in recognition of his outstanding contribution to cultural harmony and universal values. The award comprises Rs.1 crore in cash, a citation in a scroll, a plaque and an "exquisite carved handicraft or handloom memento", Announcing the winner at the close of the Tagore's 150th birth anniversary celebrations.